Points are gained each night you stay at the Yukon Inn. 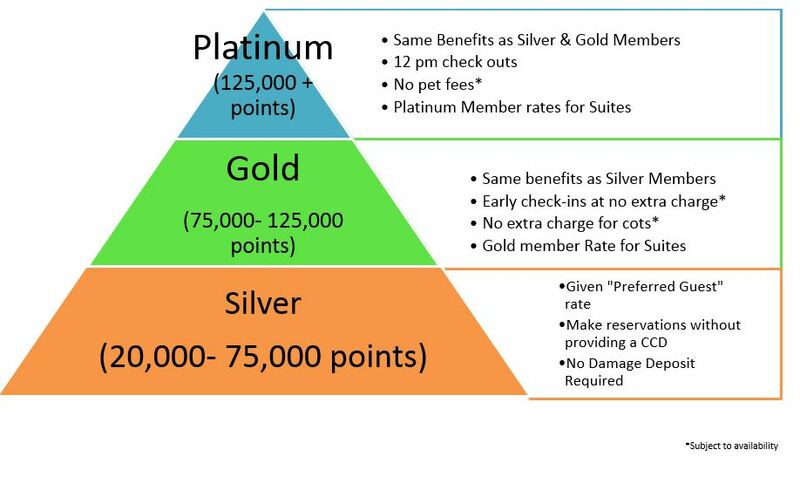 Points are only awarded to the person the room is registered to. Once you have reached a status level – you will remain at that level regardless of points balance. Any account inactive (no stays) for a 12 month period will have points and status expire. Guest must re-start loyalty program. Points accumulated under one account can only be used for that account holder and cannot be transferred. You can have up to 2 names on the account.